For the most friendly and helpful driving lessons Headingley contact OSM today. When booking a driving lesson with OSM you can expect not only high quality instructors but also a lot of care to make sure that you pass the first time. 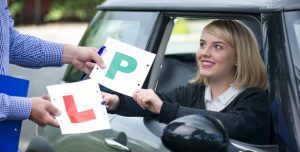 When taking your driving lessons Headingley, you can expect a very patient instructor who is there to make sure that not only do you get the most out of your lessons but you are also going at a comfortable speed that suits you. We can understand that everyone is different and so we work around you and your pace, we do not have strict plan of actions that has to be met or certain targets that have to be hit by a certain lesson. We want to make sure that you feel comfortable at the pace you are at as we have found that this is the way to success. OSM is a family run driving school. 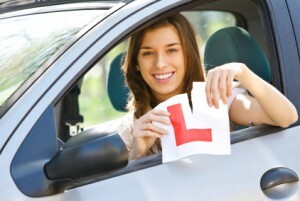 For many years we have been providing students with some of the best driving tuition around. During the time that we have been running we have always made sure to keep a high standard of driving instructors. Our manual driving lessons are performed in a Ford Fiesta which is fully insured and serviced. The Ford Fiesta that we use has a diesel engine in it and is not too big, we feel that this is the best way for new drivers to get used to handling a car. The smaller engine makes it easier to getting to grips with the controls and acceleration of cars in general. Another major benefit to having a diesel car is that it is more resilient to incorrect standing starts and so it gives a lot more room for error for new drivers. Fiestas are also great as they are compact which makes them easy to do maneuvers in. As said earlier we want to tailor our lessons to you and so we do not mind working unsociable hours if it means that someone can eventually end up passing their driving test. For all new learners we offer your first lesson at half price just to help you adjust to the car and the instructor you are starting with. Intensive Courses (For those on a tight schedule). Show and Tell me revision. We go to extraordinary lengths to make sure we do everything we can to ensure our students pass their test the first time around. To book your first half price lesson contact OSM today on 0798 965 2388. We are on standby to answer any questions you may have and are always here to serve you.